Our world is changing in a positive way. People are accepting each other no matter what they believe, who they are or are they breaking any so-called stereotype or stigma? Recently, during the NATO conference, the husband of Luxembourg’s gay prime minister posed alongside the other wives and partners of Nato leaders for a group photo. 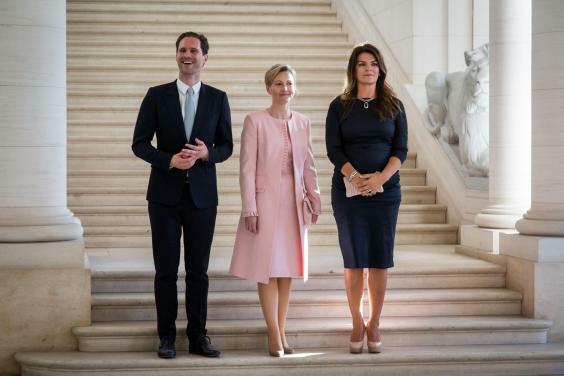 According to the Daily Mail, On Thursday at Royal Castle of Laeken, The First Gentleman, Gauthier Destenay, a Belgian architect, who married his Prime Minister has posed for pictures along with the spouses of world’s leaders. Here he is with the First Lady of Iceland Thora Margret Baldvinsdottir and the partner of Slovenia’s Prime Minister Mojca Stropnik. 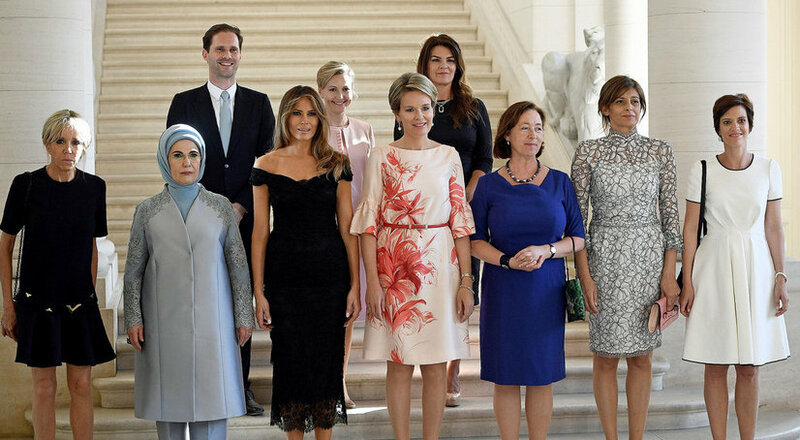 Later they were joined by First Lady of Turkey Emine Gulbaran Erdogan, First Lady of the US Melania Trump, First Lady of France Brigitte Macron, Queen Mathilde of Belgium, Bulgarian President Rumen Radev’s partner Desislava Radeva, Belgian prime minister Charles Michel’s partner Amelie Derbaudrenghien, Nato Secretary General Jens Stoltenberg’s partner Ingrid Schulerud.